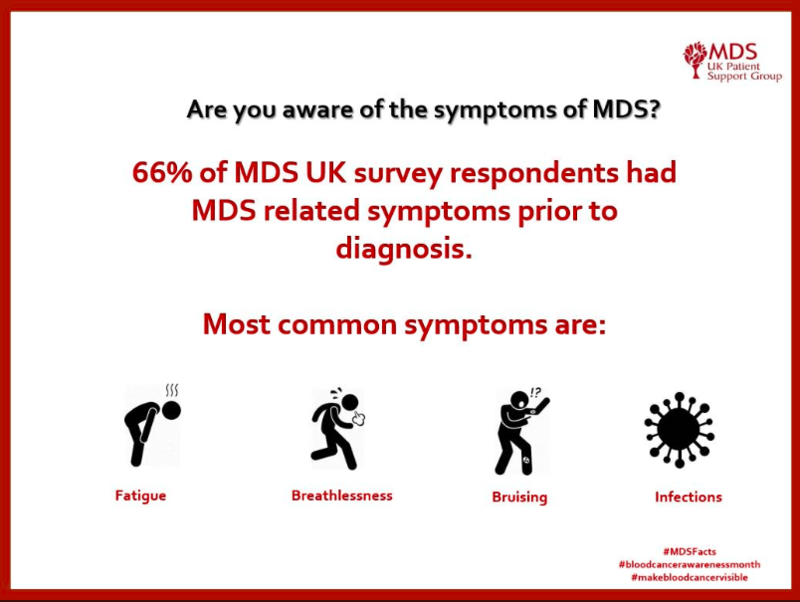 Throughout September #BloodCancerAwarenessMonth, we will tweeting bite-size MDS Facts and results from our MDS UK survey, which assessed the status and needs of 171 MDS patients in the UK. 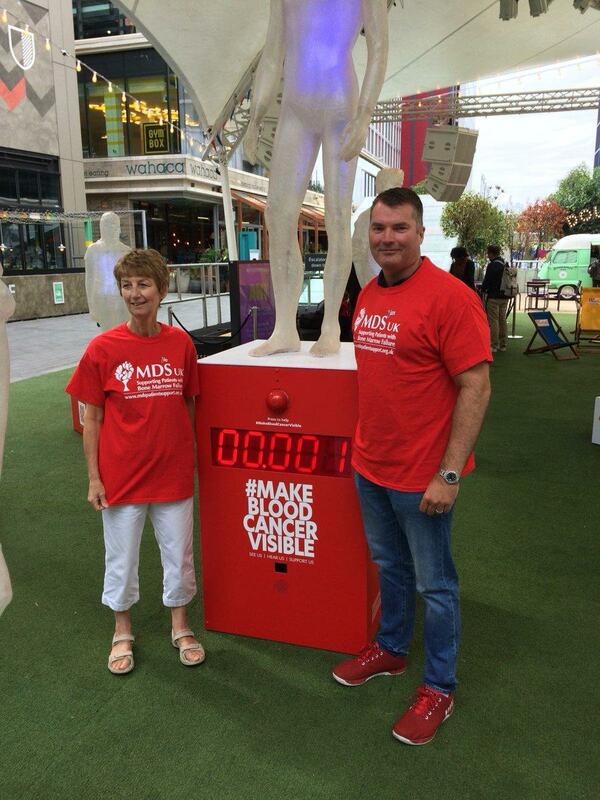 The month-long campaign is called Make Blood Cancer Visible. 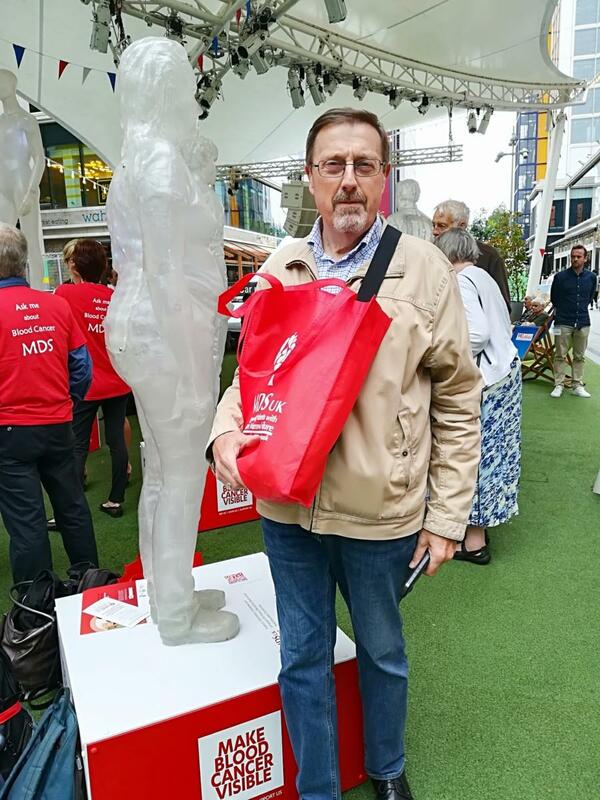 We are working with colleagues of all Blood Cancer Charities: Anthony Nolan, Bloodwise, CLL Support Association, CML Support, Leukaemia Care, Lymphoma Action, Myeloma UK, and Waldenstrom's Macroglobulinemia (WMUK), with the support of Janssen UK. 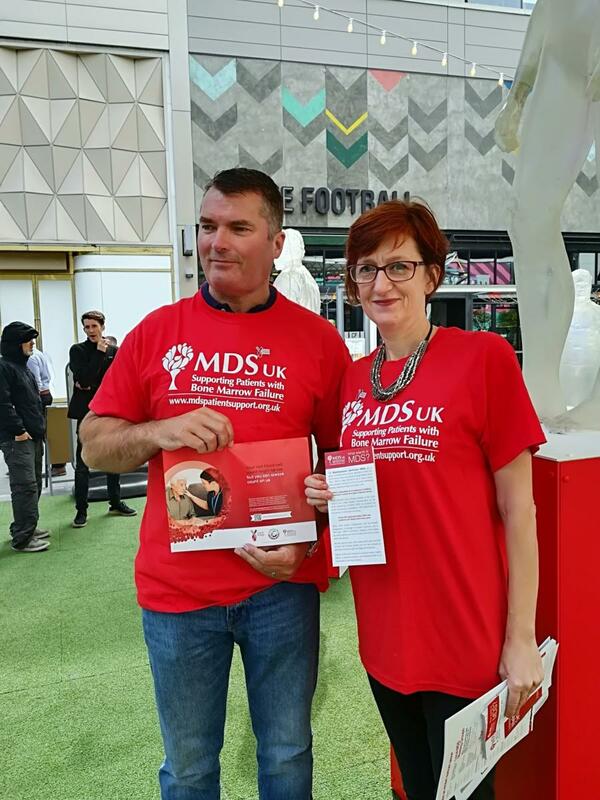 Blood cancer is the third biggest cancer killer in the UK, claiming the lives of more than 15,000 people each year – more than breast cancer or prostate cancer. 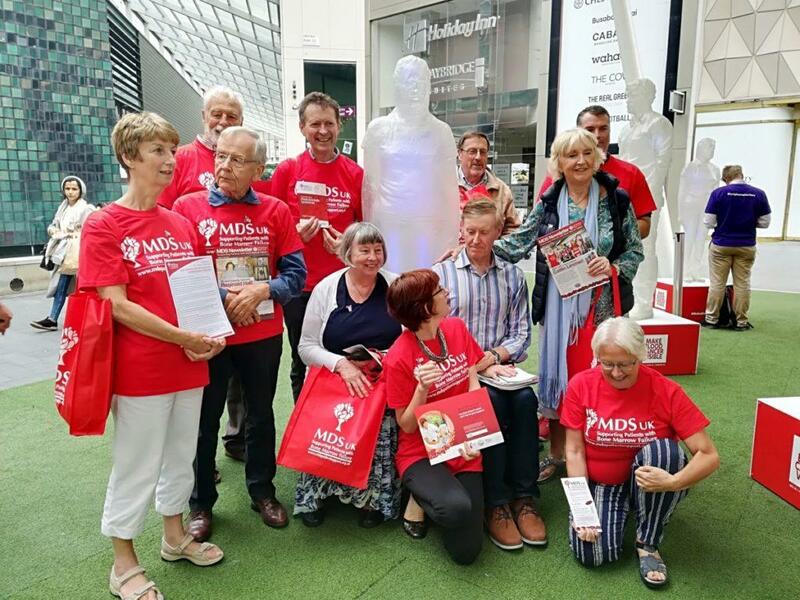 We believe that making blood cancer more visible will help people identify symptoms earlier, strengthen the community of people affected by blood cancer and help us to fund lifesaving research. 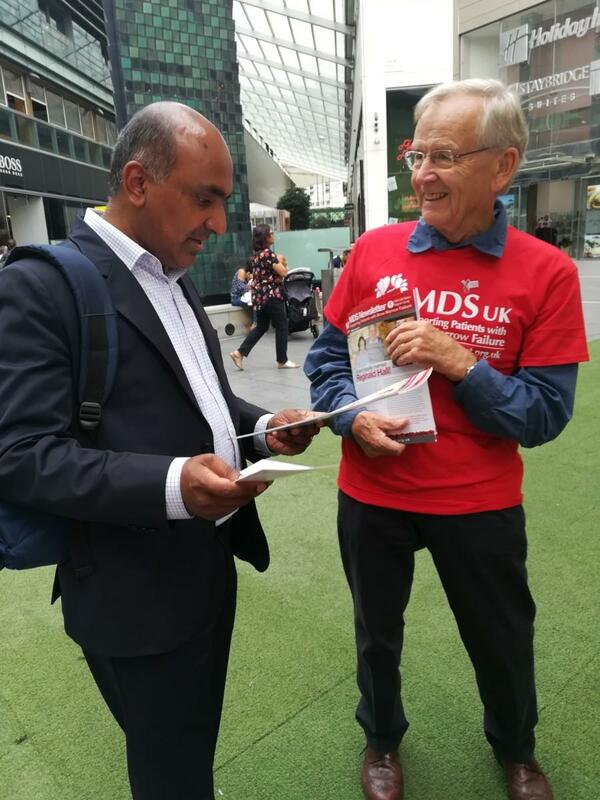 Help us raise awareness with the general public this September by sharing MDS Facts and MDS Patient Stories. 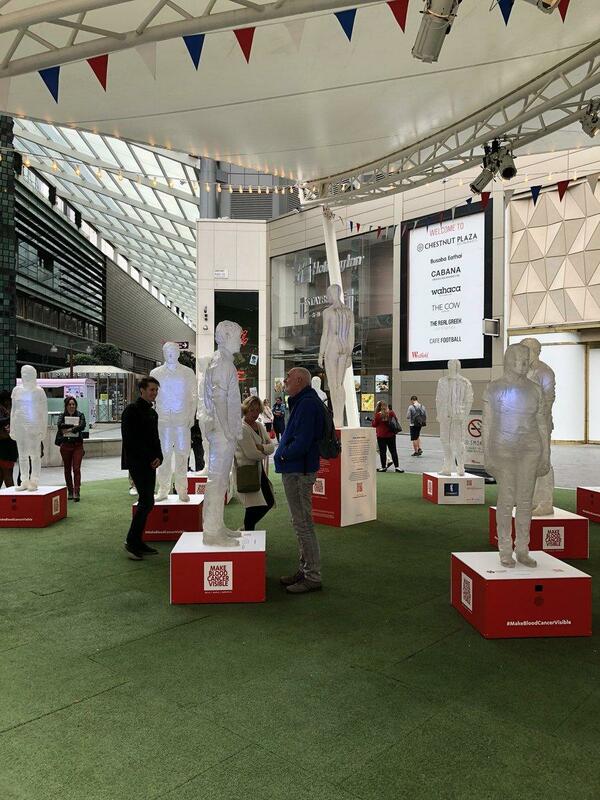 The pharmaceutical company, Janssen, has put together an amazing installation of transparent, motion-activated human figures which creatively represent the ‘unseen’ or invisible nature of blood cancer. 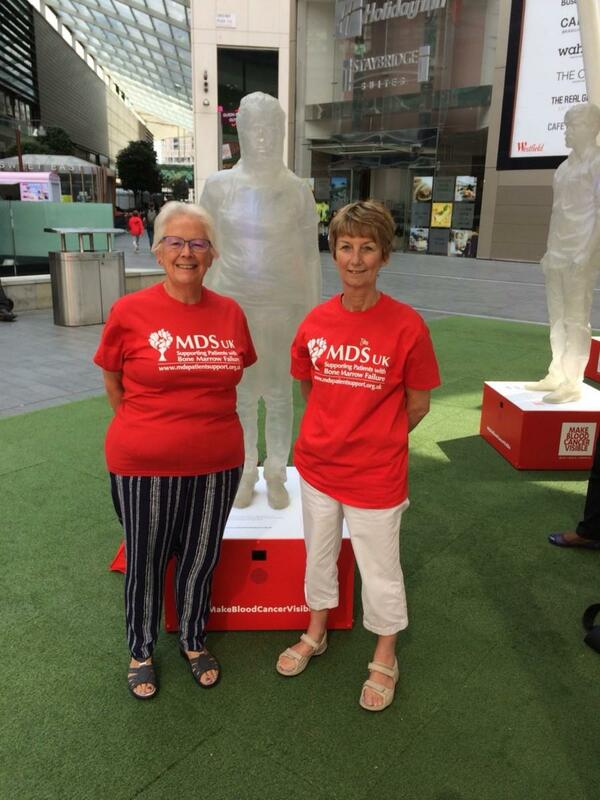 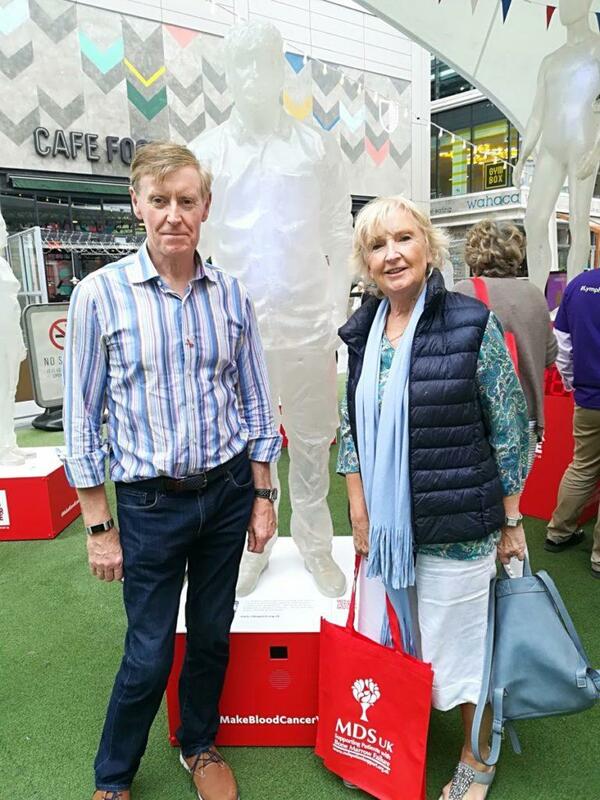 The figures share real-life stories from people with blood cancer, in their own voices, encouraging passers-by to listen to their experiences and to show their support for the campaign. 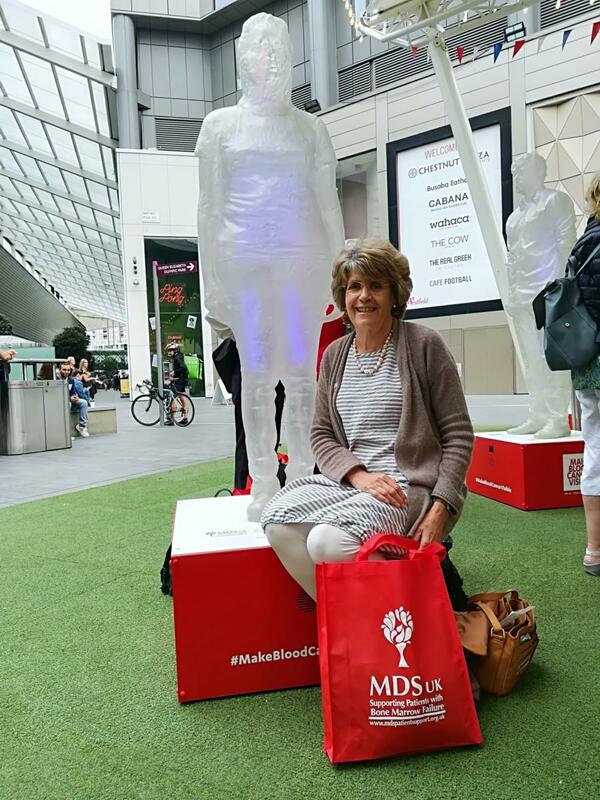 Our Oxford Group coordinator, Claudia Richards, was chosen to feature in the exhibit and share her experience of living with MDS. 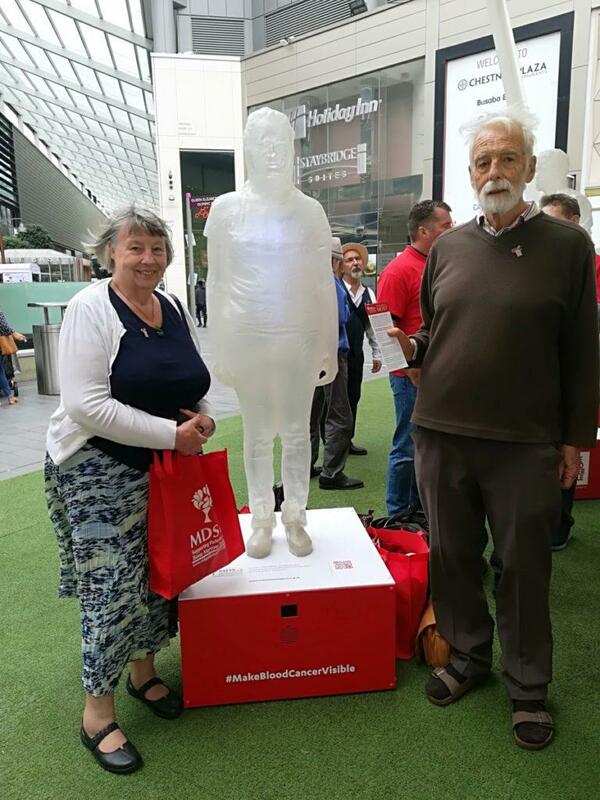 Last year she also took part in the installation and presented a section on the 2017 Make Blood Cancer Visible event. 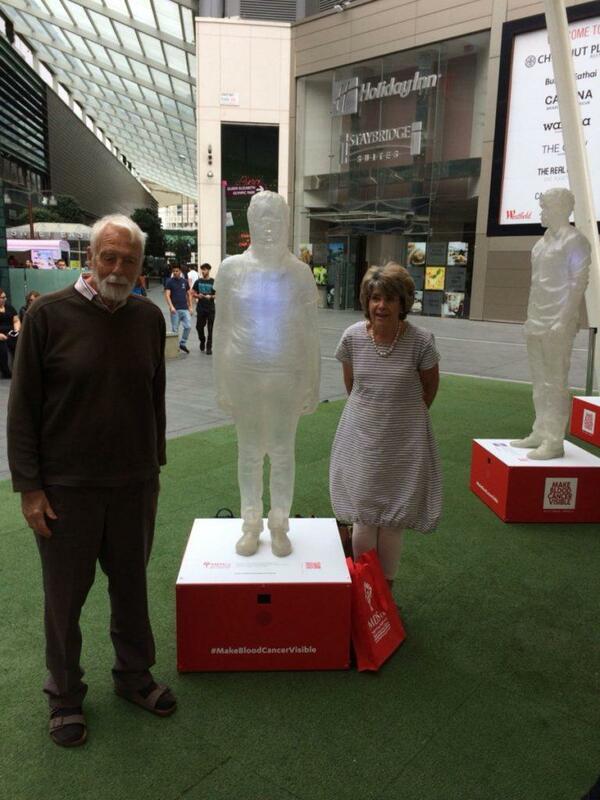 Here is a video of Claudia telling her emotional journey after diagnosis. 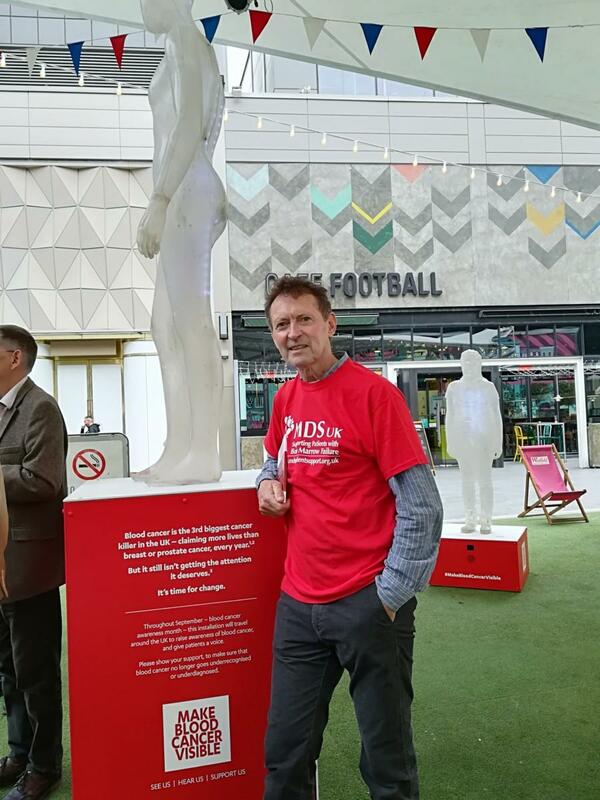 At the installation we met Ally Boyle MBE, who campaigns with us, and we are immensely grateful for the work he is doing. 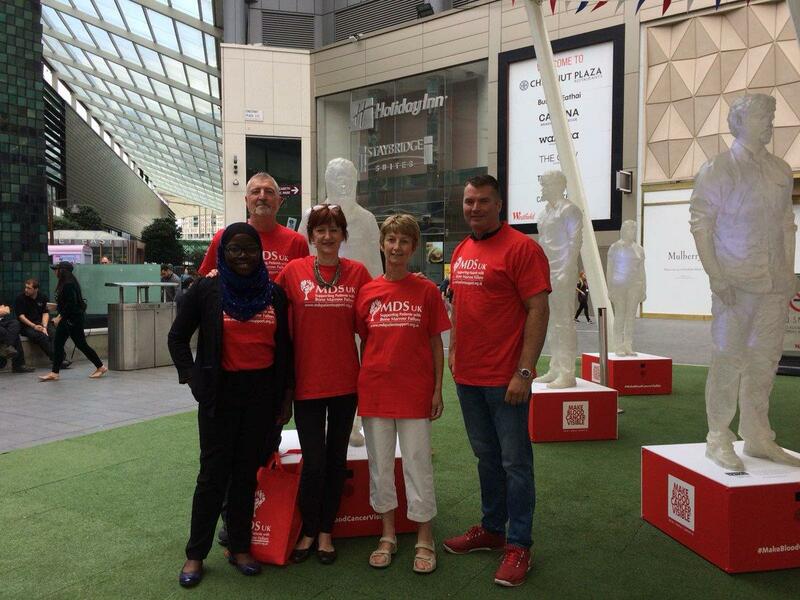 Also present were our dear staff members Raqeebah and Mike, and our CEO, Sophie. 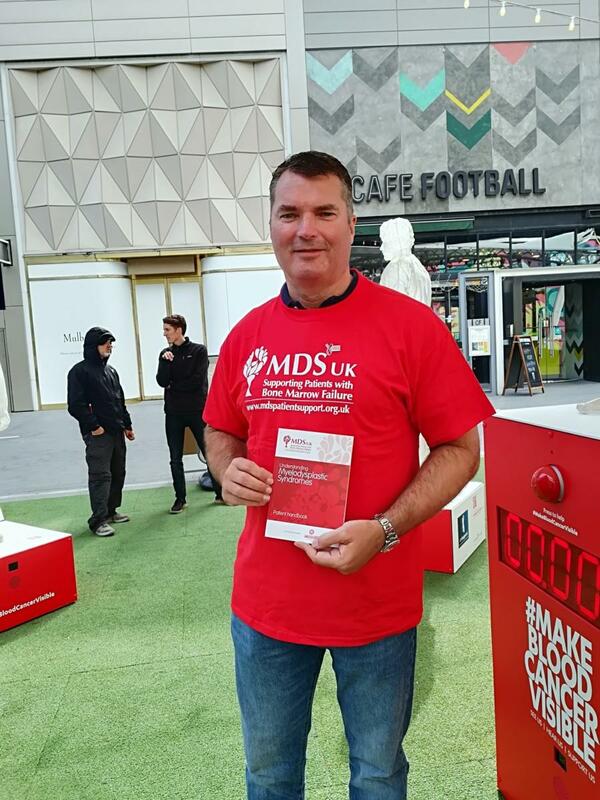 We spoke to some of our brilliant MDS patients and carers and here is what they said about their MDS experience and the Make Blood Cancer Visible campaign. 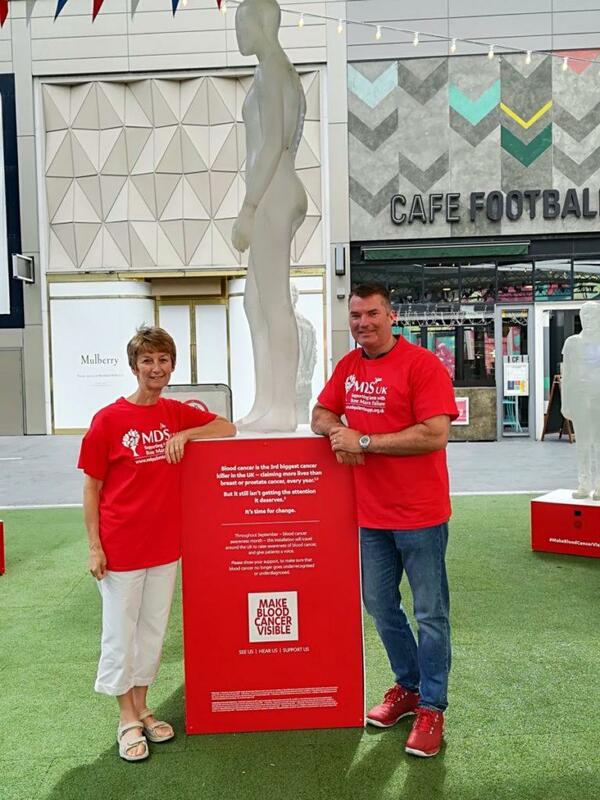 Dame Kelly Holmes is the official ambassador for Make Blood Cancer Visible 2018. 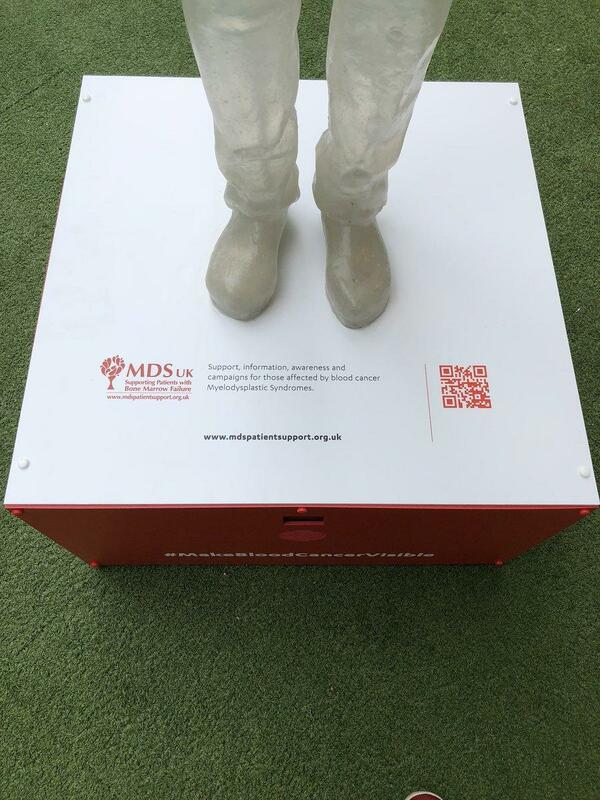 We thank Janssen UK for sponsoring this work and making this awareness campaign possible. 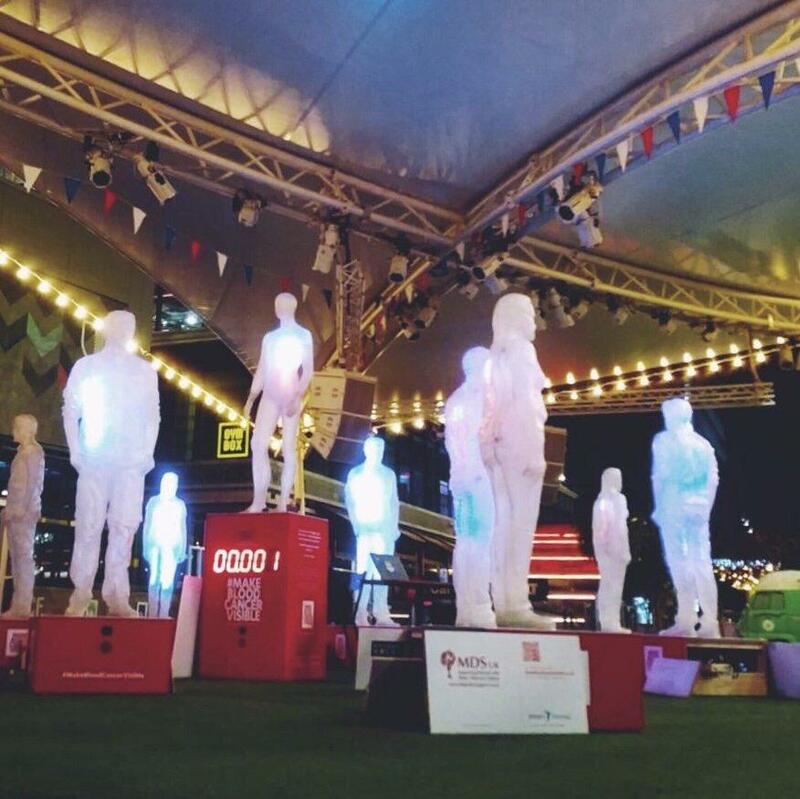 Without their help and organization, this type of work would not have been possible.